Graham and his wife owned and operated a small fly shop, Fine Flies for Fishermen, in Kamloops British Columbia in the late 90’s. Graham, unbeknownst to him I’m sure, was very influential in helping to grow my passion for fly fishing. I would regularly stop into the shop to pick Graham’s brain on whatever fly pattern I was infatuated with at the time. Graham seemed to always be at his tying station when I walked in but would always stop what he was doing to take the time to answer all my questions, and there were some real silly ones lol! But it never phased him and I will be forever grateful for his kindness and willingness to share his knowledge so readily. I have not seen or heard from Graham in since that little shop closed down. Graham, if by chance you stumble across this post, thank you! 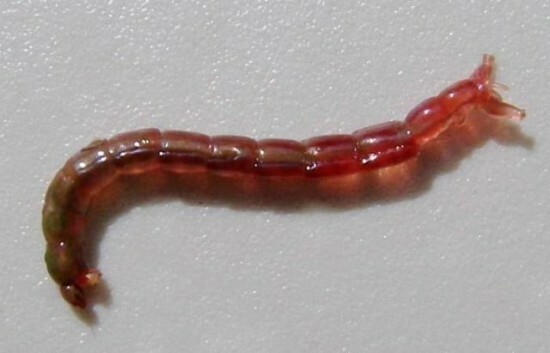 Here’s how to tie Graham’s Bloodworm …….